﻿PS Issue 714, May 2012 is out! PS Issue 714, May 2012 is out! Look for it in your motorpool or break room. 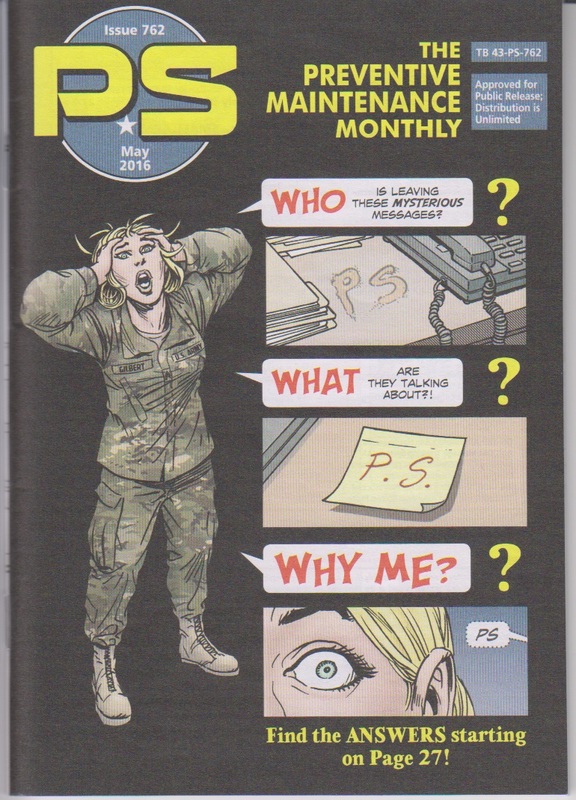 If your unit is not getting PS, email: stuart.henderson@us.army.mil. Pubs clerks, make sure your accounts are up-to-date and PS has followed you if your unit has made a move. In Issue 714, there are articles on the CROWS, the XM7 Spider and the STORM as well as four pages on theM160 Light Flail Robotic System. Property book officers (PBOs) juggle many responsibilities. Their duties include guiding units in supply discipline and property accountability. 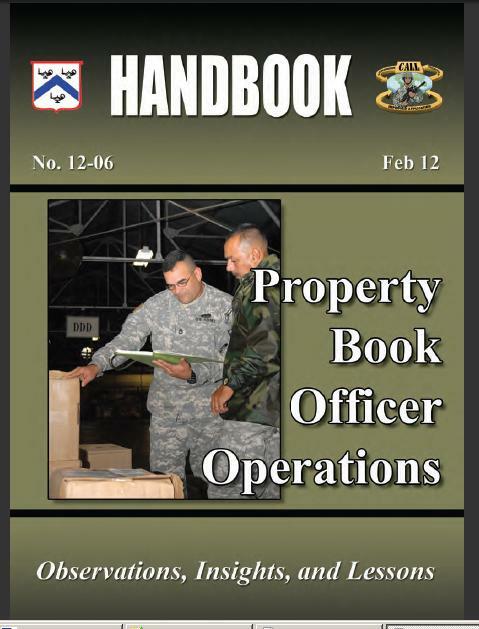 The Center for Army Lessons Learned (CALL)’s Property Book Officer Operations Handbook is a helpful guide and handy reference for issues ranging from Army Force Generation to Z LINs. • Improve Soldier combat capability and readiness. • Oversee operational funding resources. • Reduce fraud, waste and abuse of Army assets and resources. • Develop Soldiers’ and leaders’ supply management skill sets. • Serve as major contributors on a commander’s staff. What you don’t know can’t hurt you, right? Since when? The truth is, what you don’t know is usually what really messes you up. That goes big time for the conditions of your unit’s equipment. Not knowing that is one sure way to get hurt–maybe permanently. But, since you can’t inspect all of your unit’s equipment yourself, you have to train your soldiers to be your eyes and ears. Make sure they’re doing PMCS. Make sure they are on the lookout for potential problems and report the problems they find. For instance, if they find and report a Class I or Class II leak, it can be fixed before it becomes a Class III leak. Likewise, if they spot shiny areas around a bolt head or nut–a good sign that it’s loose–and report it, it can be tightened before something breaks. If they routinely eyeball trouble spots like wiring, hoses, belts and tires for wear, and report problems, you’ve got a chance to take action before major maintenance is needed. What you do know can hurt you, too, but with a good reporting system at least you’ve got a fighting change.